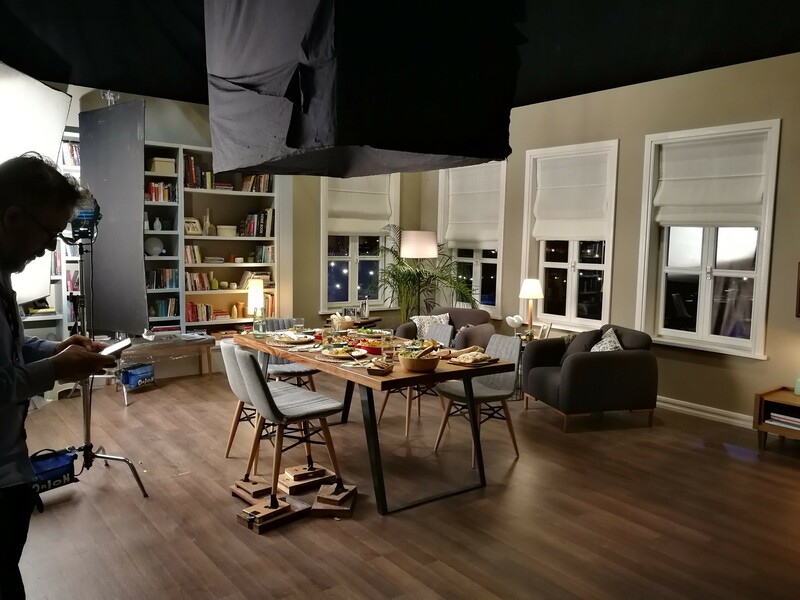 Berlin-based DP Winnie Heun chose ARRI lights, cameras, and lenses for a recent Knorr commercial and claimed he "had the right tools for the job." 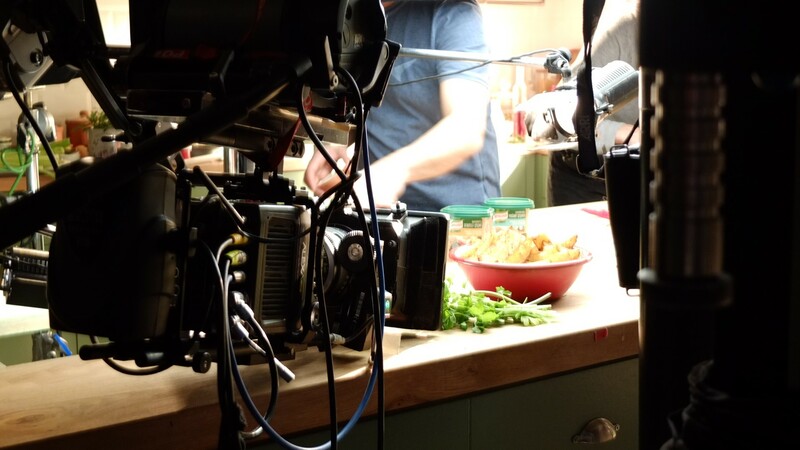 Filming food preparation requires quick and precise control of cameras, lenses, and lighting. Berlin-based cinematographer Winnie Heun took on the task with a commercial for Knorr, shot in Istanbul. He spoke with ARRI about his experience on the shoot. What were some of the main challenges associated with this project? It was quite a job. We had to accommodate a large studio set, two well-known Turkish celebrities, a child, cooking pots and stoves, high-speed photography, motion control, and time-lapse sets. And we only had three days to film it all. What kind of set was needed for this shoot? Designer Zeki Sarayoglu and his team built a beautiful large scale set at the Orion studios in Istanbul. The team had to create an entire apartment, with a fully equipped open kitchen, a moveable kitchen island, beautiful columns, and wall break-throughs to create various angles and depth for my shots. We decided to use a rather muted, darker wall color. The food stylists had to supply gorgeous food for all setups, mostly at the same time. Tell us about the general lighting requirements? We had to light the set in a late evening/night-time style. My gaffer Giray Gergin is a true artist. We rigged a large amount of tungsten units on an above hanging truss grid system. Various softboxes were applied as well. They were equipped with SkyPanels and they were managed with a control board. We were able to change the height and angle and the length of the curtains of each softbox independently. The outside of our set was pre-rigged with large, open face tungsten units to light the backdrop evenly. For the night scene, we used cooler soft sky bounce through the windows, and Giray even applied small LED punctual fixtures to replicate urban street lights. This commercial used a number of different setups. Could you explain a bit about them? We used the same studio for our motion-control, time-lapse, and high-speed setups because we wanted to shoot constantly all 4 main areas of action. The grips pulled up large curtains to divide the studio space. 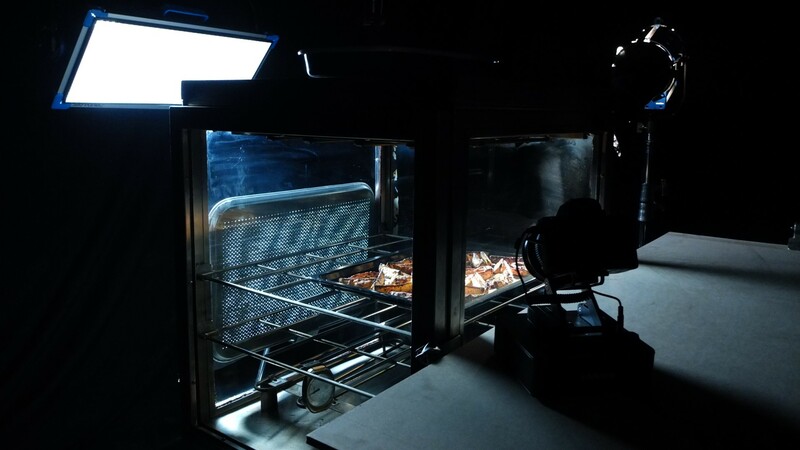 One setup was a glass oven which we could light from outside. There we shot moving time-lapse of the process of baking various dishes. Due to the single frame exposure, the units were very small, a bunch of 300W Fresnels and a SkyPanel S60-C for a soft backlight did the job. Lighting the high-speed setup was a completely different number. We used various M90’s and M40’s with the ARRI high speed ballasts and their AutoScan Mode. Because of the heat sources, we, of course, had to use metal flags, otherwise they would have been burned. Director Ali Taner Baltaci and I were constantly switching from one setup to another, shooting, tweaking shots, or lighting new setups. Ali Taner was missing some reaction shots, so we called in a second camera unit to continuously concentrate on the celebrities’ reactions. What was the major challenge with shooting food? I’ve worked with the food stylist Mesud Erdogun on many projects. He had to supply gorgeous food for all setups mostly at the same time. That kept him and his assistants constantly busy. Shooting food is a real challenge. You have to be very, very fast with lighting or adjusting the cues. Being on a dimmer board helps a lot. The high-speed cameras are more and more light sensitive, but you end up using large-scale HMI’s just the get the desired t-Stop. Lighting a set the size of a match box with these massive units is great fun. There was a lot of improvisation: we used all kinds of reflectors, mirrors, little grip stands, heat shields, clamps, and cobbled together rigs, slides with Fisher Technic motors and gear, and other stuff we grabbed from the hardware store. But we also used the SkyPanels. They were not only inserted in the softboxes but were also used here and in different sizes during the whole shoot. They are so wonderfully universal. What features of the ARRI lights have proven to be important? I love using the full range of SkyPanels. Ever since they first came out, they’ve been a big part of my lighting package. Matching the color to existing lights on location, the power of the output and the high-speed capability of the SkyPanels are game changers. The actors we lit mostly with soft bounce from unbleached muslin. I collected a variation of all kinds of fabrics which we could bounce from. The sunlight came from a bunch of 20K ARRI Tungsten Fresnels through the windows. These are great lights, I love their softness because of the large lens. The family comes together at the end of the TVC to enjoy the meal in the living room. Finally, tell us about the cameras you used and why. We filmed on two ALEXA Minis - the Mini has become the go-to camera for television commercials and I like their small size, look library and high frame rate. In the end, it all worked really well. I love collaborating with Ali Taner Baltaci. We’ve shot many, many commercials together and he knows how to tell a story, is very open to suggestions and works very closely with all departments. And with ARRI’s lights and cameras, we had the right tools for the job.